Mother’s Day is soon! Let your mom know how much she means. 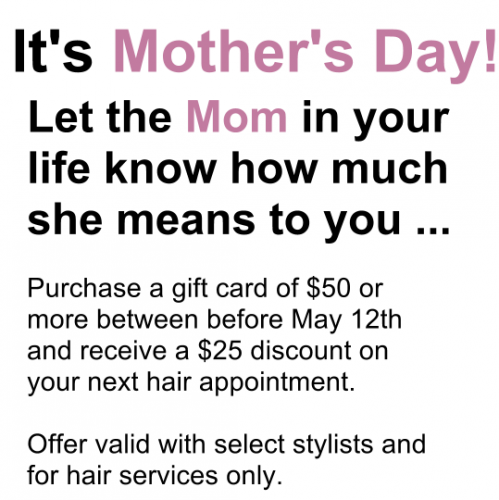 Purchase a gift certificate at Pistachio before May 12th and receive a $25 discount on your next hair appointment. Offer valid for select stylists for hair services only.